So many pieces on Sonia Rykiel's Spring '19 runway featured cutouts and they were all executed in such an elegant way. 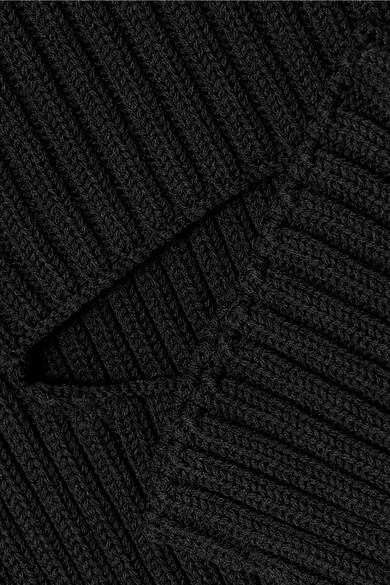 Made in Italy, this black ribbed-knit sweater is sliced at the front. It falls to a ruffled hem that's too pretty to be tucked in. 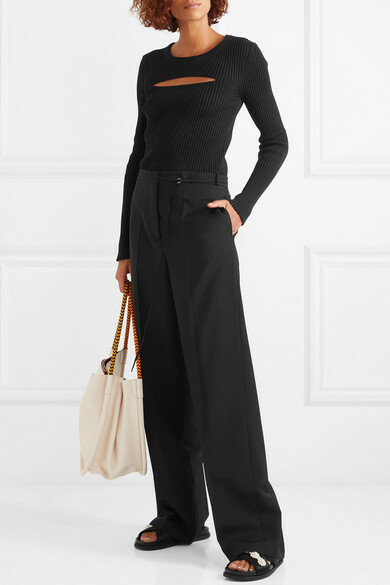 Shown here with: Jil Sander Pants, Proenza Schouler Tote, Simone Rocha Slides.